Rendering PDFs is something that is now a lot simpler than it used to be. Microsoft Office has had built in PDF support for some time allowing you to export most documents as a PDF and there are numerous online converters that will translate images and documents into PDFs in a single click. However, the task of actually creating PDFs from scratch or using more advanced PDF functionalities such as encryption, write protection and built-in word processing capabilities is still a premium feature within PDF software. Nowadays, there’s quite a lot of choice in terms of software in this category – with the obvious choice being an Adobe solution, but they’re horrendously overpriced. The question is, can other providers do the same thing for less? I’ve got some new software in my hands to try! Nuance isn’t new to the PDF market – their previous Power PDF software was well received by critics as a good value choice for working with PDFs. Their recently released new version, Power PDF 2, is designed to build on previous success and provide some new functionality to bring up to speed. Using Power PDF 2 is a piece of cake. The simple controls along the title bar work in a very similar way to Microsoft Office, providing simple tabs to find key controls. In a similar way, it also has a “ribbon” type menu under the file menu, making usability a key highlight in this program. You are able to import documents to form PDFs in a number of ways using the simple tiles within the “ribbon” menu, and one of the key new features in Power PDF 2 is the ability to import from and export to cloud services such as Dropbox and Evernote. You can even import multiple documents simletaneously to mould into a single PDF document – great if you need to stick together multiple collaborated files or simply want to stitch together a document and spreadsheet into a report. All of the usual security features are present and accounted for – with the simple security panel you can encrypt your documents, restrict editing, prevent copying and even create certificates for providing authenticity. Power PDF 2 also adds new integration into Microsoft Office – making it easy to transport any document, spreadsheet or presentation into the software and apply any advanced functionality a simple conversion wouldn’t offer. Power PDF 2 adds an easy to access tab to each of your Office applications, making exporting as easy as can be. One of the most powerful features of the software, in my view, is the ability to really easily create fillable PDF forms from existing documents. Isn’t it really irritating when you’re asked to fill in a document online that you have to print, fill in by hand and then scan? With Power PDF 2, you simply open any document that has space for a user input, select the FormTyper function, and the software automatically works out where text inputs or checkboxes can be filled in. 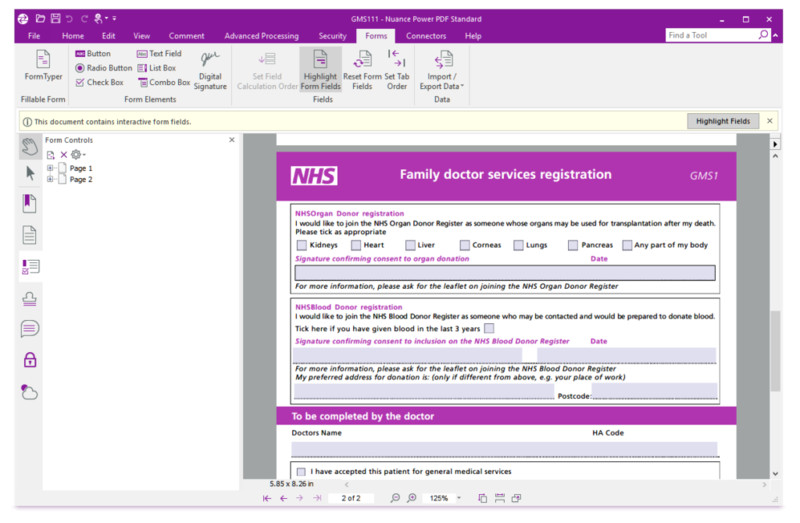 This is almost flawless, managing to work out around 95% of the user inputs in my sample NHS doctor registration document. Power PDF 2 automatically creates text and data inputs for your existing forms, making them completely interactive in a couple of clicks! My only real gripe with the software is the UI and design. Don’t get me wrong – all of the important functions are really easy to access and Nuance have done a good job of going halfway between the Microsoft Office ribbon and the Adobe sidebar controls. It just feels a little dull and uninviting – something I’m sure business users will be undeterred by, but as a home office user, it’s a little uninspiring! Overall, though, it’s easy to see that the software is absolutely solid. At just £80, it’s reachable for a fraction of the cost of the Adobe Acrobat software while offering mostly identical features. It would have been nice if Nuance had made Power PDF 2 Mac compatible too – but they do offer a cut-down alternative for Apple users (at an additional cost). If you need to use the advanced features of the PDF platform but don’t want to shell out huge amounts of money to Adobe, this is the way to go – and I’ve given it a value choice award for its attractive price tag. Power PDF 2 is avaialble now directly from Nuance and should eventually be availalable from other third parties, too. 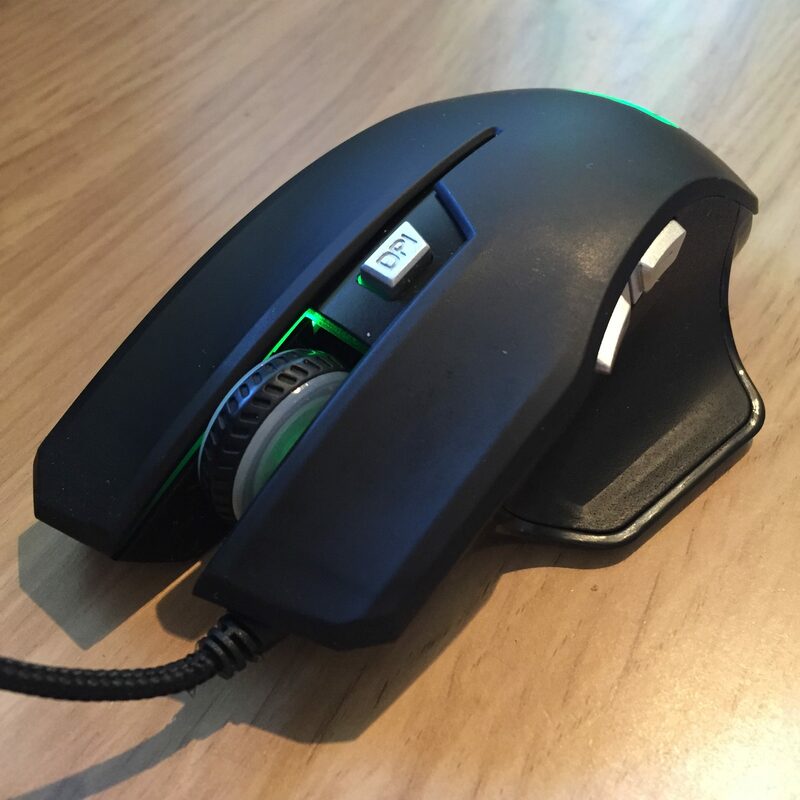 This entry was posted in Product Reviews, Software, Software reviews and tagged business, encrypt, excel, export, nuance, office, pdf, power pdf, power pdf 2, powerpoint, review, secure, Software, word on July 12, 2016 by GEEK!. 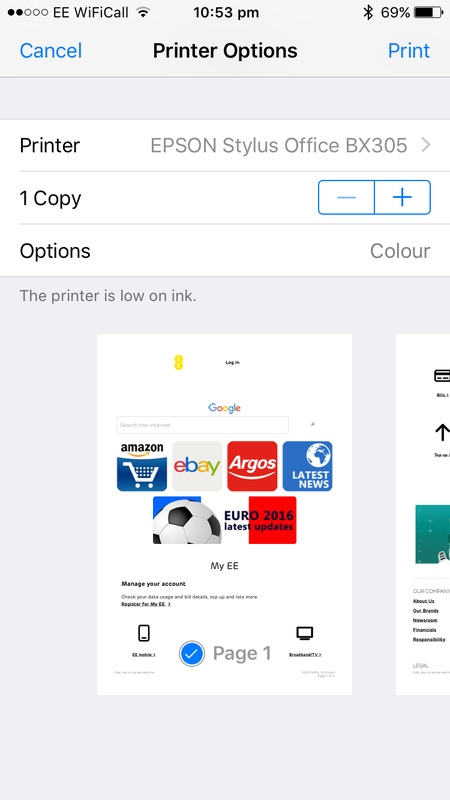 Got a printer kicking around that you wish had AirPrint? Maybe it’s one you’ve had for several years, or maybe it’s a cheaper one you recently picked up and wished it had support for your iPhone, iPad or iPod touch. 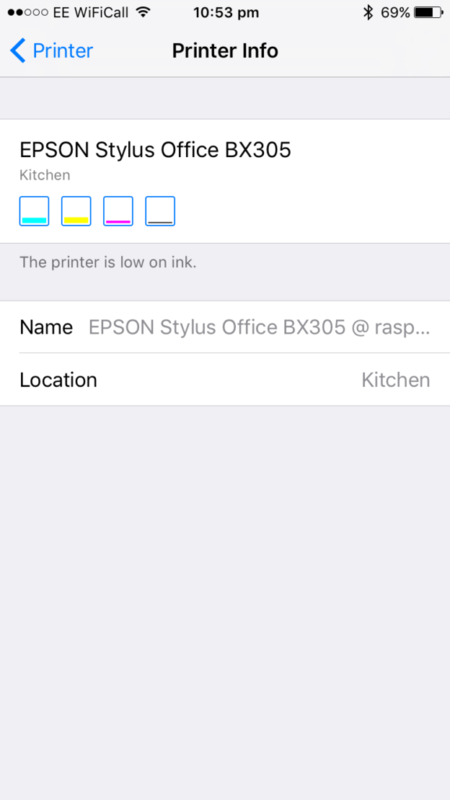 In any case, if you’ve got yourself a Raspberry Pi, have 20 minutes to spare and a tiny bit of experience with SSH, you can get your printer working natively in AirPrint in a flash! It doesn’t matter whether your printer connects via USB, Ethernet or Wi-Fi – this trick will still work. I’ll guide you through the process! Step 1: Ensure your Raspberry Pi is up to date. If there are any upgrades listed, type Y and press Enter to continue installing updates. Once that’s done, you can start installing your device. Step 2: (If you’re connecting via USB) Connect your printer with its USB cable. If you printer normally connects via USB, now would be a good time to connect it to your Pi’s USB port. If you’re currently connecting your printer via Ethernet or Wi-Fi, run straight to step 3. Don’t panic about unplugging it from about PC that it was connected to before – it’ll be a wireless printer soon! 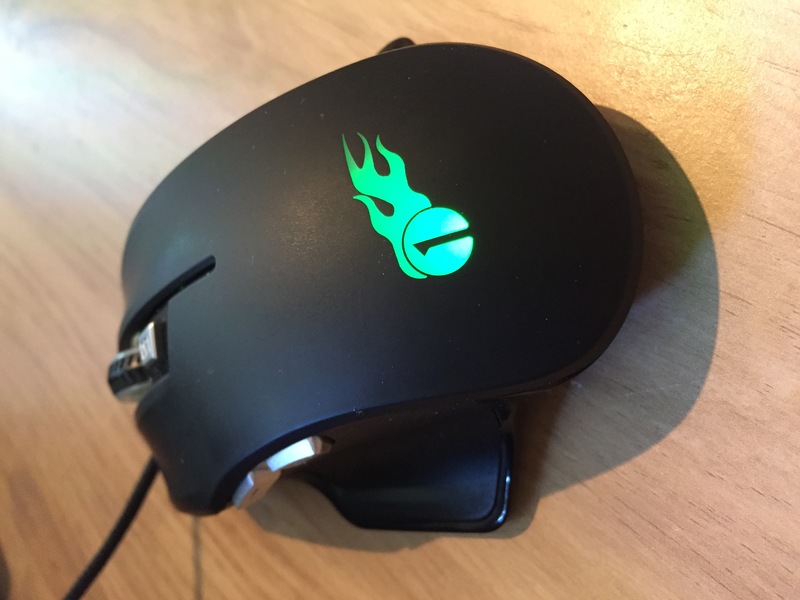 All devices that are connected via USB should be listed at this point. If your printer doesn’t show, make sure it is turned on and functioning normally. Step 3: Install samba and CUPS. Step 4: Add your printer. Click the Administration tab, then click Add Printer. You may be asked to switch to SSL at this point – just follow the link it tells you to go to. You’ll then be prompted to log in – just use your normal Pi credentials (username is usually Pi and the password either raspberry or whatever you might have changed it to. Once you’re logged in, you should be given a list of currently connected printers. Find yours in the list – it should show up however it is connected (either by USB or over your network). Select it, then click Continue. At the next step, give it a name (you can keep the default if you wish), a description (this is how your printer will be identified to your iDevice) and a location (optional). 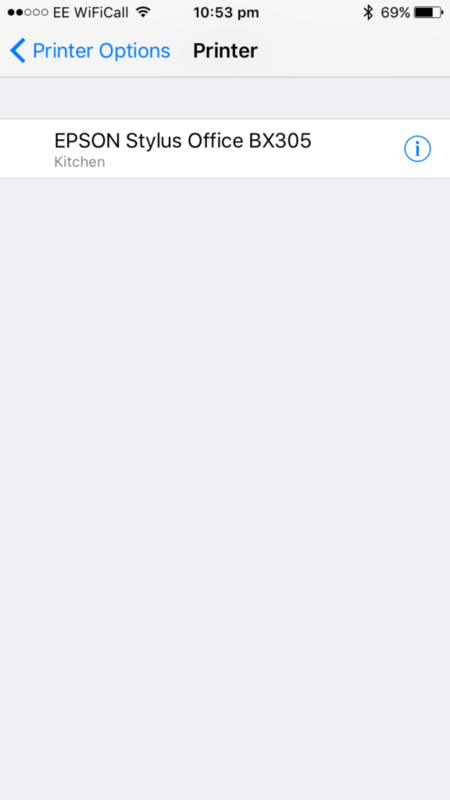 Make sure you tick Share This Printer and then click Continue. Next, you need to select a driver. With any luck your Pi should have already identified a suitable driver – if not, you may need to scroll through the list until you find a suitable candidate. 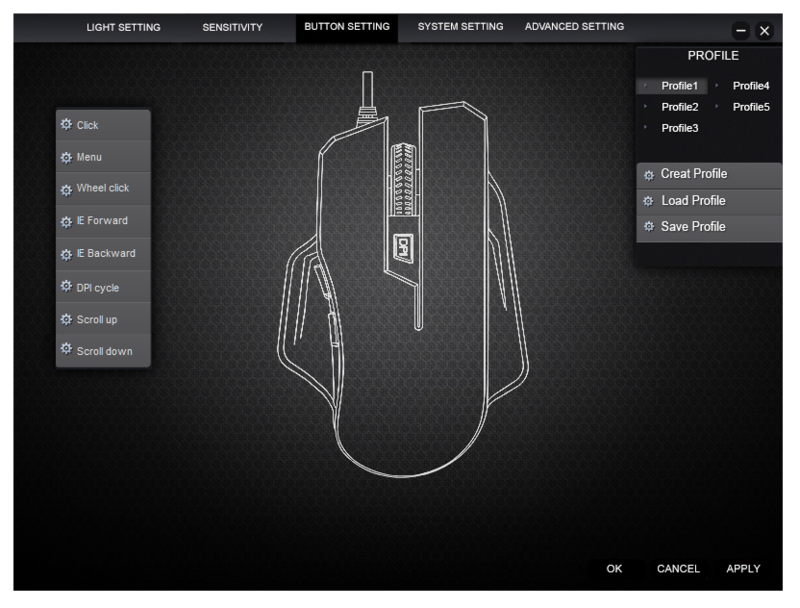 Then click Add Printer and select any default preferences you may have. Click Set Default Options when you’re done and that’s the hardest bit done! 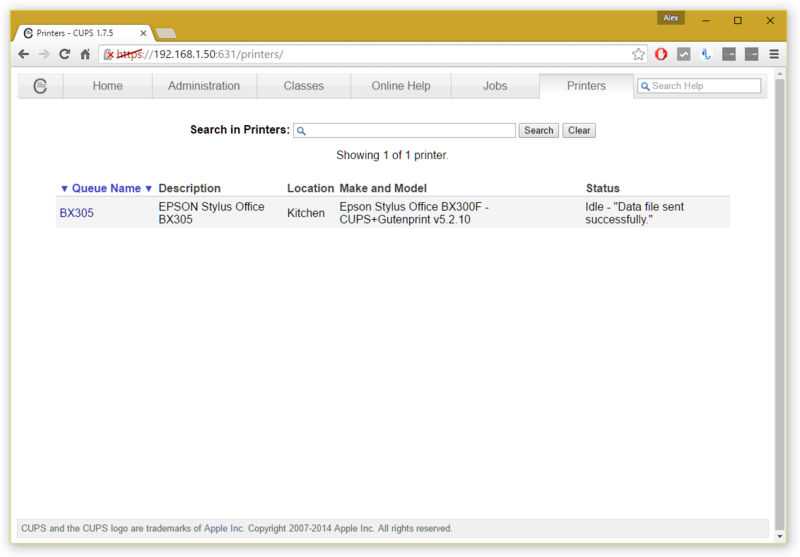 You can check the printer has been added successfully by heading over to the Printers tab and ensuring your printer is shown. To print a test page, select your printer from the list, click the Maintenance dropdown and then click Print Test Page. Hopefully your printer is listed at this point! Step 5: Fine tune a few settings. A few settings should be fine tuned here to get best performance. Return to the Administration tab and check Share printers connected to this system. If you want to be able to manage CUPS (i.e. add new printers) remotely in future over your network, also check Allow remote administration. Then click Change Settings, the server will then reboot and you’re all good at this point. Now, do CTRL + W and type in workgroup, followed by Enter to find workgroup configuration. Your workgroup is probably already correctly set it if you haven’t ever changed your workgroup before – if you have, set the correct name at workgroup =. Then change wins support = no to wins support = yes. Then do CTTL + O on your keyboard, followed by Enter, to save that configuration. Your printer will now work on a Windows network. Step 7: (If your Raspberry Pi is connected to your network via Wi-Fi) Change a quick setting here. Then do another CTRL + O, followed by Enter to save changes. Nearly there, I promise! You now need to install the AirPrint software. This is a doddle, thankfully! Step 9: Test it out! All should now be up and running – you’ll be pleased to know that’s the configuration done! Grab an iOS device, open up an email or Safari page, and follow the Share icon until you find a Print option. Hit Select Printer and yours should (fairly quickly) appear. If it doesn’t, don’t panic! Give it a couple more minutes and then try again – it should appear after a couple of tries the first time. Your printer should appear at this point. If you click the (i), you might even be able to check ink levels. Select your printer, adjust any preferences you wish, and then click Print. Voila! It might take a few seconds to spool with your printer – this is to be expected. Once you’ve chosen the printer, adjust any preferences such as number of copies and page selection, then click Print. And there you have it! An AirPrint printer with a little configuration from your Pi. 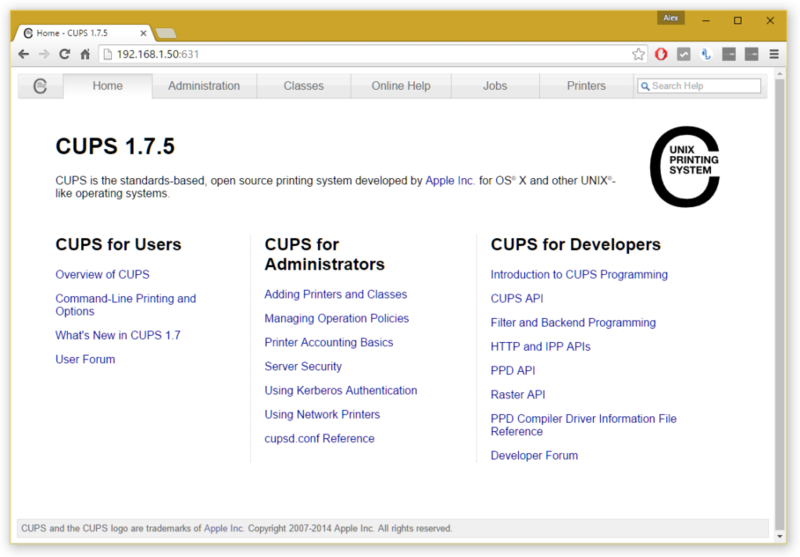 If you’d like to add more printers to your network, you’ll need to return to the CUPS administration panel and repeat Step 4. In any case, you should now have a printer that works over your network and on all of your favourite iOS devices, without the need for any third party app! This entry was posted in Guides, Software and tagged airprint, convert, guide, imac, install, ipad, iphone, mac, macbook, printer, setup, useful, wireless on July 10, 2016 by GEEK!. I’m by no means new to the drone or quadcopter scene. In fact, I’ve owned several in the last few years and have experimented to various degrees and with varying levels of success. Most of the quadcopters I’ve tested in the past have been relatively basic – simple manually controlled quads with no ‘aritifical intelligence’ or automotive behaviour. The problem with the more basic quadcopters – such as the Syma X8C – is that they’re notoriously difficult to fly, borderline impossible to hover with and don’t take very good footage whatsoever! Their low price justifies them as they’re a very good starting point and basis for learning to fly – but they’re relatively useless if you want to want to take your quadcopter flying any further. With that – bring in the Parrot Bebop 2! The Bebop 2 focuses on improving some of the drawbacks in the original Bebop. 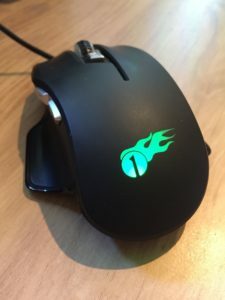 I was lucky enough to get to try the original Bebop last year, but unfortunately was let down by it’s poor build quality and terribly unstable connectivity with the app and Skycontroller. Not only that – but it really felt like a half-arsed effort, with a battery connector that had a cable hanging out and had to be tied in with velcro and a styrofoam type body kit! It was so poor that I even decided it wasn’t worth reviewing here – as I felt that most of the views I had were already online from some very frustrated customers! Moving on from that though, Parrot went back to the drawing and gave it a facelift ready for MK2! Not only that, but they re-thought many of the key aspects of the device, including power, bodywork and functionality. I’m happy to say that, in my view, the new Bebop 2 is a huge improvement on the original and deserves a warm round of applause to Parrot. I’ve managed to get my hands on the full kit – the Bebop 2 itself, together with the professional Skycontroller and the Freeflight 3 app with Flight Plan functionality. You can guess what the rest of this post will be about – right? This entry was posted in Drones and Quadcopters, Product Reviews and tagged app, bebop, bebop 2, copter, drone, flight plan, fly, freeflight 3, home, parrot, remote, skycontroller on June 20, 2016 by GEEK!.